Child stay for free under 2, if they are accompanied by their parents in the room. They dine for free (at breakfast, lunch or dinner) if they are accompanied by their parents. 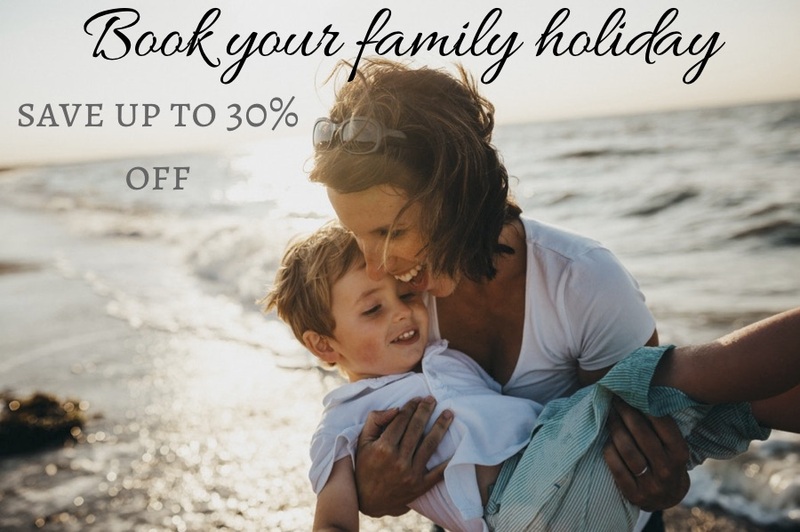 Children from 2 to 12 stay with their parents in a family room, or any of our apartments (Apartment 1 room, apartment 2 rooms, Bastide apartment or family room). The price indicated includes children accommodation with their parents. From 12, children pays as adults. Pets are allowed for an extra charge of 25 euros. Are the pets allowed in the restaurants? Pets are not allowed at the restaurants and bars. Smoking is permitted at this hotel. The hotel rooms are all non-smoking. Parking at the hotel, non-covered, and non monitored is free. Do you have access to spa when you stay at the hotel? As soon as you book a room, your package includes access to the indoor pool, the sauna, the whirlpool, the fitness center and the outdoor pools. Spa treatments are at extra charge, to book in the spa menu to the reception or prior to your arrival to the reservation service. Do you have access to the pools if you are clients at the restaurants? The pools (indoor and outdoor) are only accessible to hotel clients. You can ask a baby cot in your room for free. Please ask it before arrival. Suites are equipped with coffee machine. Other types of rooms are not. Toulon-Hyères is only 45 kms from the hotel. Port d'Alon beach is only 5 kms from the hotel direction to Saint Cyr sur Mer. Bandol and Saint Cyr sur Mer beaches are also only 5 kms away from the hotel. Is there a transfer from airport to the hotel? You can ask and book a transfer prior to arrival. There will be a cost, according to your route. Are there disabled accessible rooms? The hotel has 5 rooms accessible to disabled people. Please ask for it prior to arrival. The rooms are attributed upon availability, according to the room type you booked. It is not possible to choose a specific room number. The apartment are in the hotel part, in a 3rd building, overlooking the rest of the hotel, accessible by a corridor and a lift from the hotel. The Bastide rooms and apartments are located at the foot of the hotel, near the golf course. From the hotel, you need to walk outside to access them. A specific car park is available next to the Bastide. Is the reception open 24h/24h? The front desk is open all day long, everyday. Is there a shuttle from the hotel to Bandol or Saint Cyr sur Mer? There is no shuttle. The reception can book a transfer for you. Cost will be determined according to your route.